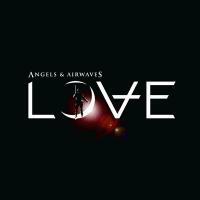 Releasing a new record on Valentine’s Day can either be a genius idea or a total disaster, but it works for Angels & Airwaves as their third studio record is aptly titled LOVE. Blink-182 fans may still hate frontman Tom Delonge for creating the side-project and comparing it to U2, but the latest offering from the musically torn artist and his group is worth a listen. LOVE is a positive step-up from I-Empire as it has traces of the band’s debut and is a bit more ambitious as far as vocals and production goes. But what shadows it from being a respectable release is the fact it can still be dropped into the category of “all the songs sound the same” as it’s proof that the group still needs to branch out more instead of trying to sabotage minds with alternative music that was violated by British space rock. Seven years is an extremely long time to wait for a new record, especially from the duo that is Massive Attack. 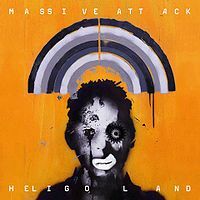 Featuring collaborators from acts such as TV On The Radio, Gorillaz and Portishead, Heligoland is a pleasant mind warp into abstract beats and intoxicating hooks. Full of variety, the collection of ten tracks stand out as one and graciously flow together although the album may seem like a mixtape on acid to the common individual. It may stray from past works, but the record has the ability to grab innocent bystanders by the ears, introduce them to the fundamentals of electronica and permanently change their single genre-loving ways. Screaming in delight with R&B infested arrangements and instrumental compositions, The Colossus is DJ/producer Ramble John Krohn’s first effort released under his own label. 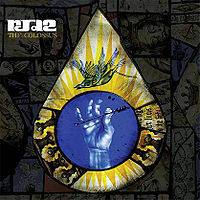 The man who devised the theme for the television series Mad Men, RJD2 displays more of a nostalgic touch as he ventures into soul (“Games You Can Win”) and even sounds that were once classified as “oldies” (“The Shining Path”). He does his best to impress with his own vocals driving the track “The Glow” but the ones that really shine are the numbers like “Tin Flowers” and “Let There Be Horns” which spell funk with a futuristic “F”. The Colossus may not be a hip hop phenomenon, but it’s groove-filled record bound to please dancing shoes and create sparks in the eyes of complete strangers on the dancefloor. 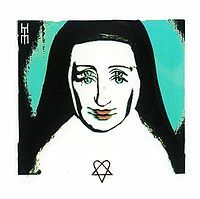 Well-known Finnish Goth rock group H.I.M. is back with their first album since 2007. The album keeps things lighter on the guitar and heavier on the orchestral synthesizers for most tracks, giving some edge to the strings only sparingly on songs such as “Ode To Solitude.” Ville Valo, singer and creator of the famous “Heartagram” logo, has a knack for emoting through vocal melodies that transcend his occasionally obtuse lyrics. The trademark synthesizers are capable of creating diverse settings for songs, conjuring up starry winter nights and eerie chambers in “Acoustic Funeral (For Love in Limbo)” and “In The Arms of Rain”. If you strip away Valo’s vocal range and the weighty synths, however, there’s not much separating H.I.M. from other middle-weight hard rockers like Hinder or Daughtry. It took several minutes of brow-furrowing as I listened to A Rocket to the Moon before I was able to put together this SAT-worthy equation: A Rocket to the Moon is to Something Corporate and Jack’s Mannequin as Owl City is to Death Cab For Cutie and The Postal Service. 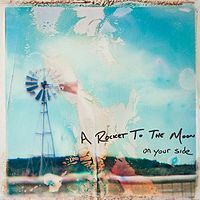 Essentially pop rock with occasional strains of pop punk and even rare instances of country (“On A Lonely Night”), A Rocket to the Moon put together an album of tracks that stretch the definition of “homage” in terms of their similarity to songs by Andrew McMahon et al. But, just like Owl City will never write a song as deep as “Sleeping In”, A Rocket to the Moon has trouble taking songs beyond a flashy hook to make them as meaningful as offerings from Something Corporate or Jack’s Mannequin. South Carolina’s Josh Turner has a deep voice and a simple outlook on life. This makes him practically indistinguishable from Toby Keith and Trace Adkins. Turner’s sound is composed of more slide guitars and fiddles than Keith and Adkins’ honky tonk, but song structures and lyrical topics are essentially the same. Listen as Turner charmingly dusts off complex geopolitical issues as “the whole world gone crazy” on “Why Don’t We Just Dance” and charmingly classifies homosexuals as aliens as he proclaims “I wouldn’t be a man if a woman like you was anything I could resist / I’d have to be from another planet” on “I Wouldn’t Be a Man”. 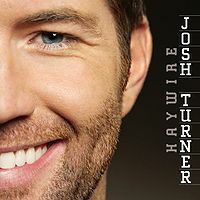 Generally, Haywire will be played on country radio stations and at gatherings in rural community centres, but it will not be enough for Turner to become anything more than a perennial nominee at the CMAs.